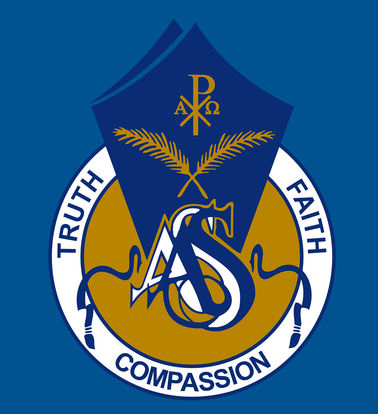 All Saints Anglican School is Co-educational Boarding School established in 1987 and is open to students from Year 1 to Year 12. The student body consists of 1,800 students on a 250 acre campus, divided into 4 sections: The Junior School, The Middle School, The Senior School and International Centre. Each building on campus is fully equipped with modern teaching technologies and facilities, including an Electronic Learning Centres and Computer Annexes giving students unlimited access to school resources. To suit the needs of each individual student, All Saints Anglican School provides a wide variety of interesting academic subjects: Agricultural Science, Technology, Art and Crafts, Performing Arts or Health and Physical Education plus many others. All Saints Anglican School recognizes the importance of an active and healthy well-being on campus. The school provides students with professional sports equipment and facilities to ensure students lead an active lifestyle on campus. The school’s sports facilities include 2 swimming pools, 8 fields and others. All Saints Anglican School is located in the centre of Gold Coast Hinterland, 3 kilometres from Mudgeeraba on the east side of the Pacific Highway. Students that graduate from Queensland will receive a Queensland Certificate of Education (QCE), a certificate that is recognized by universities worldwide. The school provides students with many course subjects to choose: Accounting, Ancient History, Art, Biological Science, Business, Chemistry, Computer Studies, Drama, Economics, Engineering Technology, English Communication, Graphics, Information Technology, Legal Studies, Physics and Tourism. Students who require additional help in English will be able to enrol into the High School Preparation Program at the All Saints International Centre. A number of specialized staff is able to teach and tutor basic, intermediate and advanced English lessons to students. In 2013, several students from All Saints Anglican School achieved high test scores and the school was ranked as one of the Top 20 schools in Queensland. Students will have the flexibility in choosing to live in dormitories or in Homestay. Dorms include 20 fully furnished bedrooms (including internet) and each room accommodates 2 students per room. The advantages of living in a dormitory allow students to make new friends through participating in various dorm activities, sports and after school events. Additionally, the dorm provides a tutor to help students with assignments and coursework. Another housing choice is Homestay or residing with a local family. All Saints Anglican School will arrange Homestays that satisfies the needs of both student and parents. Most Homestay locations are situated close to the school to ensure students can comfortably travel to and from school, hassle-free.